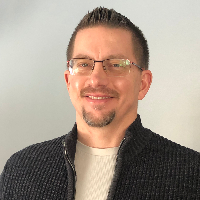 Hi, my name is Jody (Joseph) Frey and I am a Licensed Marriage and Family Therapist in CO and MN. Thanks for reaching out and for wanting to learn more about me. I have been serving people for over 25 years in a variety of settings: military, business, and therapy. For the last seven years, I have been focusing on helping people resolve their trauma and am currently working on becoming a Certified Clinical Trauma Professional (CCTP) to better serve those struggling with a traumatic past. I have a Bachelor’s Degree from the United States Military Academy at West Point in Human Factor’s Engineering and a Master’s Degree from Argosy University in Marriage and Family Therapy. I fully believe that no single approach works for all people in all situations so we will work to understand and define your unique challenges. From there, we work together to develop your goals and find the best plan to reach those goals. Sometimes, we might need to resolve past traumas, lessen your anxiety, or improve depressive symptoms. If this is the case, I work from a unique and very interactive approach to help you find peace and move forward. We will work on understanding the mind-body connection and how it impacts you. I also enjoy helping people advance their lives utilizing a coaching approach. My therapy style has been developed from six years active duty as an Army Officer, 10 years in corporate leadership, 15 years running my own successful business, and seven years as a therapist helping others. My clients often enjoy my challenging and focused style and find comfort as we draw out their inner dialogue which is negatively impacting their current emotional state. Outside of therapy, I love techie stuff and enjoy sports, working out, and playing video games. He has been extremely responsive and helpful. Because of his advice I’ve recommended this site to a variety of people I know. I was also surprised how well he matched with the concerns and issues I’m having. Would you like to write a review for Joseph Frey? We'd appreciate if you can spend a couple of minutes to write a short review for Joseph Frey (MA, LMFT). This review would be shared with Joseph Frey. It may also be posted in our website or in Joseph Frey's profile but it would be anonymous and your identity would be kept completely confidential.